Where permission is given presentations from this meeting will be available as a secure PDF copy (with a watermark – BSVP 2016 Autumn Meeting for educational use only) available to Members Only (read and print only). Please login to gain access to these documents. The BSVP inform you that no part of the presentations/handouts relating to this meeting may be reproduced or transmitted in any form, or by any means, electronic or mechanical, including photocopy, recording, or any information storage and retrieval system, without permission in writing from the individual speakers/authors. Where permission is given presentations from this meeting will be available as a secure PDF copy (with a watermark – BSVP 2015 Autumn Meeting for educational use only) available to Members Only (read and print only). Please login to gain access to these documents. The following presentations are available as a secure PDF copy (with a watermark – BSVP Feline Pathology Meeting for educational use only) available to Members Only (read and print only). Please login to gain access to these documents. The BSVP Autumn Meeting was held at the Royal Veterinary College on Saturday 4th October 2014. 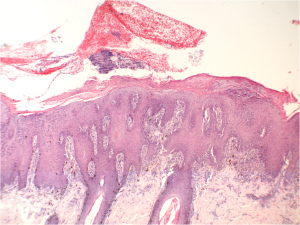 The theme of the meeting was problematic lesions in histopathology. Areas that often give that people that ‘sinking feeling’, were chosen and experts invited to give their insights and tips on dealing with cases. Harriet Brookes led the day with what we do and don’t know with respect to forensic pathology and aging of lesions. Nischalan Pillay, Consultant Histopathologist at the Royal National Orthopaedic Hospital, Stanmore in London gave two fascinating presentations on diagnosing difficult tumours in bone and soft tissue; and the genetic markers that are helping to clarify diagnosis for some of these entities. Emma Scurrell gave us tips for eyes, Tim Scase for lymph nodes, Annalize Ide for oral tumours and Trevor Whitbread for skin. Presentations from the meeting will soon be available in the member’s only section of the website. As part of the meeting the BSVP AGM was held after lunch. Treasurer, Norelene Harrington gave a review of the financial position which is very comfortable. Nick Woodger gave the secretary’s report and Lucy Oldroyd reported on the year’s national and regional meetings as well as the website. There were votes of thanks to the two outgoing office holders, Tony Paterson (President) and Nick (Secretary), who have both done a superb job for the Society. We are pleased to announce that Ken Smith and Alistair Foote have offered to take on these roles. In addition, the committee has been expanded to include four more members which will ensure the smooth running of the Society; thank you to Nick W, Darren H, Annalize I and Sionagh S.
A big thank you to Simon Priestnall and his team of helpers from the RVC who did a fantastic job with organisation and hospitality ensuring the day was a great success. Where permission is given presentations from this meeting are available below as a secure PDF copy available via the Members Only area of the BSVP website (read and print only). The following presentations are available as a secure PDF copy (with a watermark – BSVP Module 14 for educational use only) available via the Members Only area of the BSVP website (read and print only). The BSVP inform you that no part of the presentations/handouts relating to Module 14 may be reproduced or transmitted in any form, or by any means, electronic or mechanical, including photocopy, recording, or any information storage and retrieval system, without permission in writing from the individual speakers/authors. The following presentations are available as a secure PDF copy (with a watermark – BSVP Module 13 for educational use only) available via the Members Only area of the BSVP website (read and print only). The BSVP inform you that no part of the presentations/handouts relating to Module 13 may be reproduced or transmitted in any form, or by any means, electronic or mechanical, including photocopy, recording, or any information storage and retrieval system, without permission in writing from the individual speakers/authors. 14.15 – 15.00 Cancer: carcinogenesis & genetic changes. 14.15 – 15.00 Cellular adaptations to injury – hyperplasia, metaplasia, atrophy etc.